In this highly accessible discussion, Bart Ehrman examines the most recent textual and archaeological sources for the life of Jesus, along with the history of first-century Palestine, drawing a fascinating portrait of the man and his teachings. Ehrman shows us what historians have long known about the Gospels and the man who stands behind them. 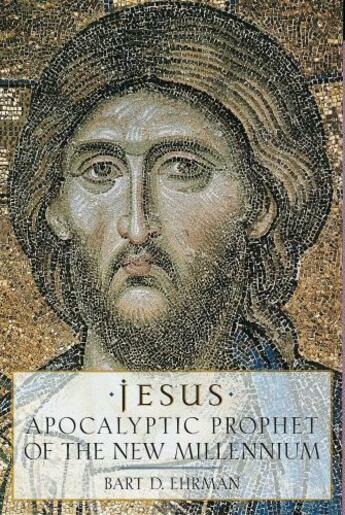 Through a careful evaluation of the New Testament (and other surviving sources, including the more recently discovered Gospels of Thomas and Peter), Ehrman proposes that Jesus can be best understood as an apocalyptic prophet--a man convinced that the world would end dramatically within the lifetime of his apostles and that a new kingdom would be created on earth. According to Ehrman, Jesus' belief in a coming apocalypse and his expectation of an utter reversal in the world's social organization not only underscores the radicalism of his teachings but also sheds light on both the appeal of his message to society's outcasts and the threat he posed to Jerusalem's established leadership.